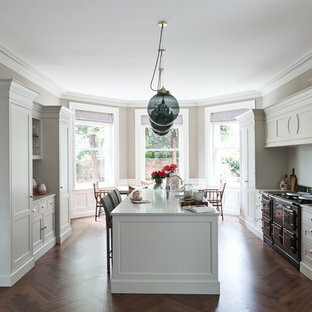 This beautiful, solid wood, in-frame Shaker kitchen was part of a complete house renovation. 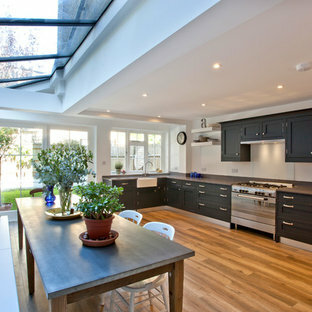 The client wanted a light, airy and practical kitchen. 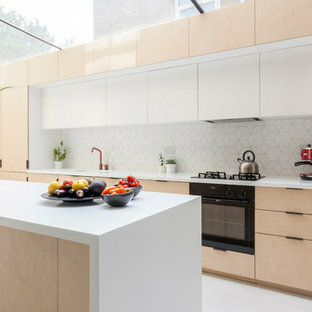 It includes large island, American-style fridge/freezer framed by built-in larder units providing plenty of food storage and a bi-fold butler unit neatly houses all the tea and coffee making equipment. 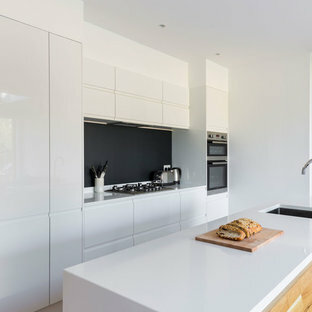 An electric/induction hob range cooker is complemented by a Quooker boiling water tap, providing plenty of instant boiling water. 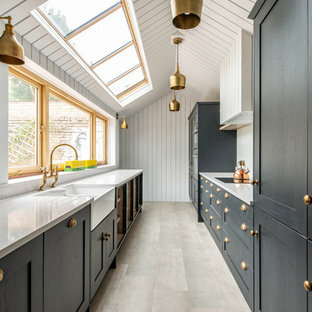 The units were were supplied by The White Kitchen Company and hand-painted in Farrow and Ball Railings on the island and Drop​ Cloth for the remainder. 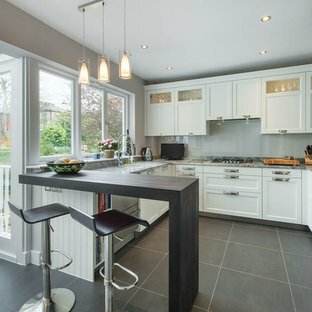 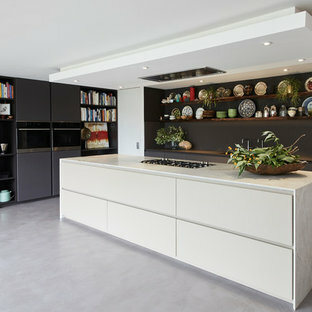 The light quartz worktop is Silestone 'Lagoon'. 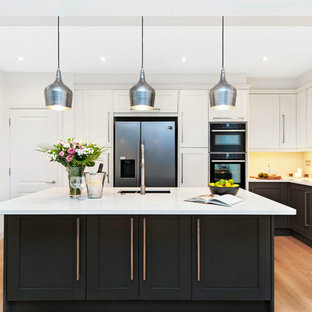 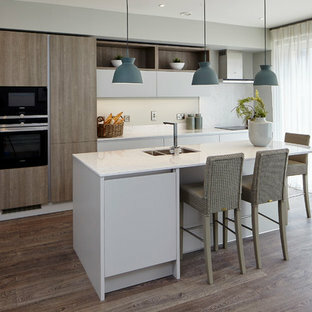 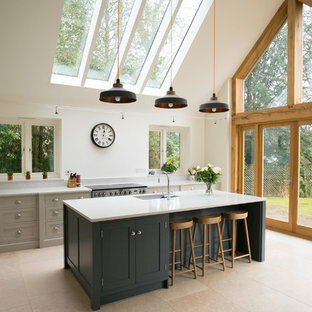 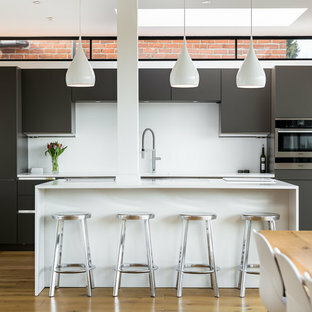 White/ grey kitchen beautifully balanced with 3 hanging pendants.